Savvy Spending: Cheap lunch or dinner at Five Guys with Chase Pay App! Two burgers and drinks for $5! 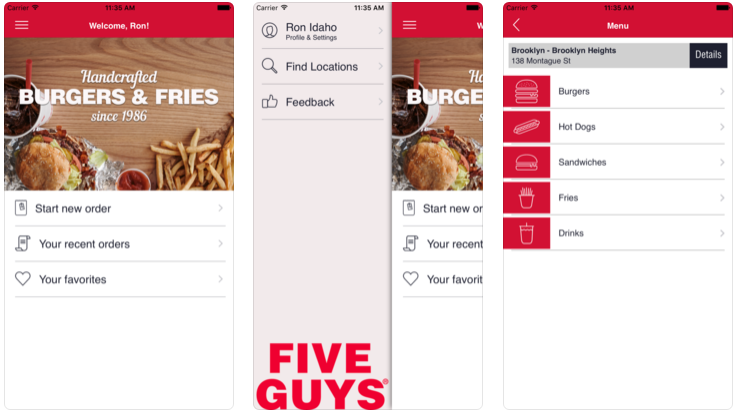 Cheap lunch or dinner at Five Guys with Chase Pay App! Two burgers and drinks for $5! Need a cheap lunch or dinner? You can get one at Five Guys when you use the Chase Pay App! Through June 30th or while supplies last, head over to the Chase Pay app where you can save $8 off your Five Guys purchase when you order ahead! Plus, you may have a $10 Welcome Bonus offer valid for $10 off your first order!